On June 30th 2004, when the current National Bank of Romania Act (312/2004) was published, it became an independent public institution. The event was of historic importance for a country where, for more than a half a century, the central bank (named after the communist takeover the “RPR Bank – State Bank” and then “National Bank of the Socialist Republic of Romania”) had been subordinated to the Ministry of Finance (1948) and the Council of Ministers (1957). The adoption of this law marked the official acceptance of the idea that the independence of the central bank is needed in order for it to perform its specific functions in a modern market economy. “When exercising the powers and carrying out the tasks and duties conferred upon them by the Treaties and the Statute of the ESCB and of the ECB, neither the European Central Bank, nor a national central bank, nor any member of their decision-making bodies shall seek or take instructions from Union institutions, bodies, offices or agencies, from any government of a Member State or from any other body. The Union institutions, bodies, offices or agencies and the governments of the Member States undertake to respect this principle and not to seek to influence the members of the decision-making bodies of the European Central Bank or of the national central banks in the performance of their tasks”. This provision was transferred almost word for word in the Romanian Law: “When carrying out their tasks, the National Bank of Romania and the members of its decision-making bodies shall not seek or take instructions from public authorities or from any other institution or authority”. (Art. 3, Par. 1, 312/2004). The idea of the independence of the National Bank of Romania (NBR) is now being raised by some members of Government and of Parliament, as well as by analysts and media channels. As long as the pro-European orientation of the Romanian society was very clear, inflation was reduced and the banks in Romania did not seem to be affected by the global financial crisis, exercising political pressures on the NBR was not only illogical, but also without an echo among the public opinion. Lately, when at EU and regional level the rise of some populist forces of the right took place, and imbalances re-emerged in Romania’s economy caused by the populist measures taken by the self-declared left-leaning government (budget deficit, inflation, deficit of the balance of payments with foreign countries, etc. ), the attempts to point out the NBR as a scapegoat have multiplied. The problem is, that in order to correct these imbalances, the monetary authority and the fiscal authority must cooperate, especially to allow the central bank to maintain a low interest rate, a stable exchange rate and, in extremis, the monetization of budget deficits. In order to correct these imbalances, the monetary authority and the fiscal authority must cooperate, especially to allow the central bank to maintain a low interest rate, a stable exchange rate and, in extremis, the monetization of budget deficits. Referring to this last issue, it is noted that, even though the Treaty… (Art. 123), as well as the aforementioned Romanian Law (Art. 7, Par. 2, 312/2004) forbid the NBR to purchase government securities directly from the issuers (primary market) or to provide any type of credits to the state or its bodies (central and local authorities, autonomous companies, national societies, national companies and other companies with majority state ownership), it may acquire securities through the so-called “open-market” operations, which is the equivalent to the monetary financing of the budget deficit. Also, because it provides credits to the commercial banks under unilateral conditions (volume, interest rate, dead-lines, guarantees), the NBR influences the capacity of the commercial bank sector to provide, in turn, loans to the state. Finally, 80% of NBR’s net profit is paid to the state budget (seigniorage). But, in a tense political atmosphere, cooperation in all these areas between the two authorities (monetary and fiscal) is difficult, and attacks on the independence of the central bank may be an obstacle rather than a way to solve the financial issues of the state. Like other central banks of the EU Member States, which do not belong to the Eurozone, the NBR adopted in August 2005 the monetary policy strategy called “inflation targeting”, the main feature of which being the public announcement of an official inflation rate target (range of variation) that is valid for one or more periods, alongside the explicit proclamation of reducing the inflation and maintaining it at low levels. The NBR’s independence was easier to defend, given that, as a member of the ESCB, its fundamental objective was limited to ensuring and maintaining price stability. So, like other central banks of the EU Member States, which do not belong to the Eurozone, the NBR adopted in August 2005 the monetary policy strategy called “inflation targeting”, the main feature of which being the public announcement of an official inflation rate target (range of variation) that is valid for one or more periods, alongside the explicit proclamation of reducing the inflation and maintaining it at low levels – as the main objective for the long-term monetary policy. Other important features of this monetary policy strategy are the independence and public responsibility of the central bank and its intense efforts to present to the public its objectives and plans. The soundness of inflation targeting became obvious during 2014-2016, when not only were inflation targets reached, but the inflation rate became negative, without the economy falling into deflation. After the secrecy of Ceaușescu regime, Romania adopted the transparency of decisions of monetary policy, characteristic to “inflation targeting”. The NBR started to provide to the public an important and unprecedented amount of information. The mystery that surrounded for so long the activity of this institution was largely removed, and the independent analysts and the public opinion were able to properly evaluate the capacity of the central bank to deliver on its objectives. Although during 2005-2013 the annual inflation targets were not reached, the overruns were generally small and caused by factors other than monetary ones, which meant that the social effects of the NBR’s monetary policy of the last decade were largely beneficial. The soundness of this policy became obvious during 2014-2016, when not only were inflation targets reached, but the inflation rate became negative, without the economy falling into deflation. Under these circumstances, the NBR was able to argue that the monetary policy and, in general, its activity contribute to ensuring monetary and financial stability, to the normal functioning of the economy and to achieving the government’s objectives. However, after the global financial crisis emphasized the dangers of strictly separating monetary policy and fiscal policy, the major central banks of the world – including the ECB – have assumed additional responsibilities. Mainly, they concerned ensuring financial stability and, in some cases, attempting the re-launch of economic growth and improving the employment situation. However, the decision whether to save a certain financial institution, regardless if it is taken to ensure the systemic stability or from any other reasons, has visible consequences for the individual investors, but also for the simple citizens. This is also true for “unconventional” central bank interventions for quantitative easing, interventions made through operations conducted directly on the market bonds issued by enterprises, the mortgage market, government securities issued by some governments, etc. Therefore, the idea of independence of a central bank that obviously helps certain specific financial institutions or some governments that have not respected the financial discipline and because of this they have high debts – at a time when society as a whole suffers an unprecedented economic crisis – has become a politically sensitive issue. The idea of independence of a central bank that obviously helps certain specific financial institutions or some governments that have not respected the financial discipline and because of this they have high debts – at a time when society as a whole suffers an unprecedented economic crisis – has become a politically sensitive issue. The result was the change of the operational framework of the central banks (objectives, attributions, instruments, etc. ), in the sense that, without being side-lines from the task of controlling monetary stability, central banks have been empowered to deal with financial stability and potentially economic growth and employment. Thus, at the G20 Summit of Toronto, in June 2010, it was decided to create a new framework for crisis prevention and management, in which the authorities should have the necessary competencies and instruments needed to restructure and solve the problems of all types of financial institutions during a crisis, with the minimization of costs for taxpayers. In turn, the European Parliament has adopted an entire legislative package (six-pack) aimed to identify and correct macroeconomic and fiscal imbalances, and the European Commission has developed a European crisis management framework for the financial sector (EU Framework for Crisis Management in the Financial Sector). In line with Romania’s obligations to the IMF and the EU, the NBR assumed the task of macro-prudential supervision of the banking system and promoted a series of regulations meant to increase the financial stability. It created the “Credit Risk Center”, aligned the regulations of depositor insurance to European standards, promoted legislation regarding recovery and “resolution” of credit institutions and investment firms and also testing the stress resistance of the banking system. An important step was adopting the “Early Warning System for Financial Crises – Financial Stability Indicators”. These are just some of the developments. Although the banks in Romania did not have troubles comparable to foreign large banks (Fortis, Lehman Brothers, Icelandic Banks, the Anglo-Irish Bank), the public space continued to seethe with ungrounded and unfair accusations towards the NBR and its relation to the commercial banks. For example, the legal initiative known as “pay-as-you-go” gave rise to numerous accusations from which populist, demagogic, conspiratorial, anti-capitalist and anti-Western tendencies were not missing, as well as protests in front of the NBR headquarters, attacks against the Governor, etc. Similar allegations targeted the “Financial Supervisory Authority” and its President. The NBR’s independence became even more difficult to defend when in Romania a somewhat surprising revitalization of the slogan “non-interference in internal affairs” took place that was a throwback to Ceaușescu’s propaganda and its effects on the collective mentality to justify the country’s isolation against the West, but also the East, which in the meantime became more reformist than the Bucharest regime. This slogan has become again the favourite cliché of the defenders of a fake national sovereignty, understood as a right not to comply with the international and European rules, norms and standards and to reject the external monitoring of their application. The NBR’s independence became even more difficult to defend when in Romania a somewhat surprising revitalization of the slogan “non-interference in internal affairs” took place. In this political atmosphere, the NBR is being attacked for a number of absolutely imaginary reasons: that it has pushed the economy into recession; that it was the only central bank that increased the interest rates during a crisis period; that it has blocked lending to the economy; that it manipulates the exchange rate to pressure the government; that it did not prevent banks from transferring their profits abroad etc. Thus, the Prime Minister has stated several times that the NBR is “a structure of gods that are concerned only with their own existence”, that “our colleagues […] from the NBR have been away from the levers, because this was the NBR’s role – to not let the interbank interest rate to grow and to not let some actors run amok”; that the “NBR should have been more careful” regarding the banks that reported no profit and to warn about this; that “he had unpleasant experiences with the banks and he refuses to put his salary on a card, so that the bank would not benefit from a commission on each withdrawal”, etc. Probably concerned by their lack of performance and the public’s reaction to other political decisions that they already have taken or plan to, the Government tries, therefore, to regain the right to control the central bank, hoping that if they take back the “money printing machine”, they will solve their own problems more easily. But to compromise the NBR’s independence to make it politically accountable means thus “throwing the baby out with the bathwater”. Creating and implementing a monetary policy is a very complex technical process, and to let this action in the hands of politicians is just as imprudent as giving them a bomb on a timer. The reason is that, in a democratic political system, the politicians are constrained by political mechanisms to try to create inflation, in order to satisfy, in the short-term, the electorate, and thus to increase their chances to be re-elected. Hence the conceivable need for the legal Statute of the central bank to ensure its independence against the political sphere and, above all, against the executive power. The literature has shown that a way for today’s central banks to maintain their independence is to abandon the macro and micro-prudential policy and to give up on purchasing government securities, even from the secondary market. However, an important conclusion is to be drawn from the analysis of the recent financial crisis that the monetary stability is closely linked to the financial stability, and the policies in these two areas can be more effectively coordinated if those attributions are shared by the same institution, even if they are exercised by different departments. From this angle and taking into consideration the inflationary tensions that have begun to reappear in Romania, it is almost certain that, if they are going to amplify, the NBR will be forced by circumstances to increase the monetary policy interest rate, which will have consequences on the financial stability and the real economy. The Prime Minister has stated several times that the NBR is “a structure of gods that are concerned only with their own existence”, that “our colleagues […] from the NBR have been away from the levers, because this was the NBR’s role – to not let the interbank interest rate to grow and to not let some actors run amok”; that the “NBR should have been more careful” regarding the banks that reported no profit and to warn about this; that “he had unpleasant experiences with the banks and he refuses to put his salary on a card, so that the bank would not benefit from a commission on each withdrawal”, etc. The NBR can defend itself against these countless accusations by increasing its transparency. The NBR can defend itself against these countless accusations by increasing its transparency. The Council of Administration has recently taken the inspired decision to publish the minutes of its meetings and go even further in this direction by publishing its members’ votes on various macro-prudential policy decisions that are on their agenda. Also, the NBR can revitalize the practice of colloquia and symposia, can accelerate and increase its educational programs, can make its publications available to independent professionals, increase the number of conferences, press statements, interviews and, generally, it can improve the way it presents its activity to the open public. It can also explicitly recognize the right of political parties to appoint their own representatives in the Council of Administration and to set the objectives that they should pursue. Finally, to help shape the opinions of politicians, analysts, journalists, etc., the NBR can better explain how its cooperation with international financial-monetary bodies and with central banks of other countries supports the real national interest. It can provide more details regarding the norms, rules, standards, verifying procedures of these organizations, the external contacts of the persons with leading positions, the participation of NBR specialists to various committees and teams set up at IMF and ECB level, etc. Above all, the NBR should avoid interference in or attachment to political struggles. The management and staff of the NBR can continue to work in a serious and competent manner and to hope for the best. As much as I can be brief, I am submitting to the reader’s attention a response to the article “The National Bank on Trial”. If this reaction simply serves to prolong a debate that Prof. Cerna has engaged in on similar topics in previous articles, which I have read with the same interest as this one, then it is for the best; I will also refer towards them. As I am suspecting the reader has guessed, Prof. Cerna’s claims are not exactly “to my taste”, which is why I am penning this response. Firstly, I do not agree with the logic of the paradigm in which the arguments were submitted. It is, without any intention of such, one perverted by the very political environment in which the Professor sees today the insidious, if not outright demonic adversary, of the NBR’s independence. I am talking about the intention – successfully materialized by the normative, ideological factor – of transforming the economic and social actors with a major role in societal management, beginning with the State itself (the Government), in abstract entities. They would have an autonomous existence beyond the welfare of the citizens who actually designed and endowed them as instruments. The central bank, generically speaking, did not escape this process. As an organization (administrative structure) with a powerful institutional load (a sum of rules and practices that, often, define it and emphasize its specificity), it links its history to that of money. In its creation and placement in the economic game, there was something objective and legal. The trends of economic development and dynamics gave it two reasons for being: 1) the need to manage the flow of money, “reminding it”, with obstinacy, that its primary function is the standard of value; 2) to replace, by means of good practices, an odious institution of early capitalism, the loan-shark. I am talking about the intention – successfully materialized by the normative, ideological factor – of transforming the economic and social actors with a major role in societal management, beginning with the State itself (the Government), in abstract entities. They would have an autonomous existence beyond the welfare of the citizens who actually designed and endowed them as instruments. With this in mind, the slippages that occurred, which were severe and, in inexcusable manner, eventually regarded as normal by the economic theory and practice, were not alien to the “blessing” of the bank. Here are just a few, representative examples. Transforming money from a means of measurement into one of exchange, via Keynes, opened wide the gates for lax standards for money creation, unrelated to realistic values that this money, with a grounding in nothing, had to express. We know many economists who have argued that such practice induces the recurrence of big crises. In reply, how many central banks opposed, and still oppose this “unconventional craft”? They do not oppose, because it is convenient for them to forget why they were established! A different role which they have “assumed” (or “were empowered” to perform – let us remember by whom) – to employ the same expression as Prof. Cerna – was more appealing – to become a “lender of last resort”. They were invited to this devilish dance by an equal partner: the state/government as a “saviour of last resort”. Prof. Cerna argued in a previous article that central banking appeared in order to be “lenders of last resort”. Allow me to claim that regardless of what textbook arguments, even Nobel-worthy ones, support this view, the simple logic of the basic classroom argument contradicts it. Moreover, such an assertion is a clear defiance of the logic of the market; an institution that has also emerged, legally and objectively, at the confluence of two fundamental economic facts – labour division and human cooperation – and not through a law-making process. If, at the end of the road, regardless of the way and severity with which someone breaks the rules, come two super-bodies to save that someone, is there room left for the institution of bankruptcy? Do we still have to learn that, without the latter institution and its sanitary role, the market is filled with miscreants who dangerously grow until they become “too big to fail”? The fact that the social pressure, to which the central bank is not a stranger causally, engages in such salvaging interventions for the good of the many belongs to the area of “soft” causality, with little rigor and a lot of political and bureaucratic hustle and bustle. The slippages which occurred, which were severe and, in inexcusable manner, eventually regarded as normal by the economic theory and practice, were not alien to the “blessing” of the bank. So far, the central or mega-central bank, whose independence Prof. Cerna is defending, has itself exceeded the bounds of its own function. It wanted and enjoyed being “something else”. And it did so mimetically, taking the lead after its “fiancé” – the State. This trajectory was not displeasing to Moloch – it wanted to be a free-standing entity, rather than an instrument for the use of the citizenry. Secondly, but connected to all of the above, independence is not something to be required, but stated. And the central bank, even in Romanian clothes, is placed, through the will of the monetary history, “at the center”. It has a privileged status, from which derives the natural temptation of self-inflating its importance and functions! Prof. Cerna defended something that needed no defense on either his part, or mine. The NBR is strong, so it must be, and is too solid for its statute to be “questioned” by more or less well-informed voices. It enjoys, as the Professor states in a previous article, “an independence unprecedented in its entire history of over 130 years”. Why disturb its peace? Does it look like it is “on a prosecution bench”? Besides, criticism is a cleansing act – let its sins be brushed away through it, if there are any. If, at the end of the road, regardless of the way and severity with which someone breaks the rules, come two super-bodies to save that someone, is there room left for the institution of bankruptcy? Do we still have to learn that, without the latter institution and its sanitary role, the market is filled with miscreants who dangerously grow until they become “too big to fail”? Thirdly, and I hope all will agree with me, in an open and democratic society, only the citizens’ independence counts in itself. All expended efforts must apply to him and his welfare only, not by virtue of a narrow individualism but by the paradigm on which the civilized world is based. Economic, budgetary, monetary, etc. optimums, as well as the job description for actors such as the Presidency, the Government, the Parliament, the Bank, and the City-Hall have the same lanyard – the citizen! By virtue of this principle, any other “independencies” are a priori suspicious. The proposition is especially important, as the very independence of the citizen is not absolute: he has rights, but also obligations. The NBR enjoys, as the Professor states in a previous article, “an independence unprecedented in its entire history of over 130 years”. Why disturb its peace? Does it look like it is “on a prosecution bench”? Besides, criticism is a cleansing act – let its sins be brushed away through it, if there are any. From what Prof. Cerna writes, it results that he argues for the NBR’s independence over the political factor, in this case the Government, which is motivated and inclined to put the electoral logic before the economic one. Apart from politicians, I am guessing nobody is arguing against this. I think we should clarify some specifications and nuances. Therefore, I think a technical and professional independence is acceptable and wanted. To accept that the workings of the institution belong to a pure-blooded, incontestable and irrepressible elite. From this point of view, I do not think there is a real danger of putting in the hands of the politicians a ticking timebomb by handing them the reins of monetary policy. How many of the politicians Prof. Cerna refers to would take on such a task? The danger itself is imaginary. Such a technical independence, as seen, is not satisfactory. Professor Cerna claims that “the global financial crisis emphasized the dangers of strictly separating monetary policy and fiscal policy”. They are basically interfering with each other. Hence, “an important conclusion is that … policies in these two areas can be more effectively coordinated if the respective attributions are given to the same institution, even if they are exercised by different departments”. It is no longer necessary to specify which “empowered” institution Prof. Cerna is referring to. He finds it necessary to state that the same shadowy context of the global crisis led to the change of the banks’ operational framework, adding to the list of “unconventional” operations, “ensuring financial stability and, eventually, economic growth and employment”. Like a student eager to push the understanding of things to the end, I ask Professor Cerna to enlighten me on what else the Government of a country does, even in Romania, if the job description of the central bank lurches from the monetary policy towards fiscal policy, economic growth and employment. Or, let us look at things from another perspective. If the monetary domain is a piece of a whole working in concert, how do we conceive its functional autonomy and total independence? How is a detachment from the whole possible? It can be seen that Prof. Cerna, in this instance, does not argue with clear language to that point, he merely “suggests” – for the good of the nation in achieving “mostly beneficial” effects – that the extension of NBR’s attributes is welcome in areas that conventionally do not belong to it. Honestly, I wish that this were the case. With professionals, like those who manage a national bank, the chances of good governance would be significantly higher. However, I know that governance is and will be condemned to be eminently political. I repress, therefore, this desire, being convinced that setting the central bank to the economy’s steering wheel is too good to be possible. Article 130 of the “Treaty on the Functioning of the European Union” proves Prof. Cerna right. The NBR, in agreement with the ECB and the ESCB, “cannot request, nor accept instructions from anyone”. I ask him if the accountability to the Parliament does not mean a violation of this law. There is another direction from which we can analyse the subject. Is it logical, natural, normal, etc. to claim independence while managing other people’s money? Professor Cerna suggests it is, though my first instinct is to disagree. Maybe it is just as “normal” as civil servants deciding and spending from a collective purse and without any personal risk; serving the “public interest with other people’s money”, as James Buchanan said. I ask Professor Cerna to enlighten me on what else the Government of a country does, even in Romania, if the job description of the central bank lurches from the monetary policy towards fiscal policy, economic growth and employment. On the whole, I do not think that the NBR or any other central bank, likewise the Presidency, the Government, the Parliament, etc., are “on their own”! They have to answer to someone about their entrusted mission, and that someone is the citizen. To involve the Parliament in this equation is the first solution at hand, through representative mechanisms. Nevertheless, it is not enough. The direct relationship with the citizen and, why not, the responsibility, through total transparency towards him, gives tangibility to the process of governance and heightens the likelihood of good practice. The term “public responsibility” with which Prof. Cerna is operating is not clear and conclusive enough. Neither does he seem to fully trust it, as seen in the last three paragraphs of the article, where he uses the word “can” eleven times to express possibilities rather than imperatives – “The NBR can contract…”; “Can go further... by publishing members’ votes on various decisions”; “Can revitalize the colloquium practice…”; “Can amplify… educational programs…”; “can make publications available to independent professionals”; “Can improve the way in which it presents its’ work to the public”; “Can recognize the right of parties to appoint their representatives in the Board of Directors”; “Can better explain how cooperation… with international financial and monetary organizations… represents the real national interest”; “Can give more details… regarding its internal activity”; “Can continue to avoid intervening in political struggles”; and what do you know: “The NBR’s leadership and employees can continue to seriously and competently work and hope everything will be fine”. When will a “must” take the place of the unmistakable and embarrassing “can”? Why not a “must”, instead of a “maybe”? It is a matter of serious meditation since the Romanian is learning, as he is able – either by shortcuts, or by night school – the job of citizen. And, in this capacity, he is interested in what is going on with his money. Why and how he pays the interest, what is going on with the “car safety belt”, why is the Swiss franc making him unhappy and, why not, what is the reason for our growing public debt. I agree that the various decisions related to the bank loans were taken in a climate that was not without “populist, demagogic, conspiratorial, anti-capitalist, etc.” overtones. You notice them, but you do not ask yourself what the cause of this “anti” attitude is. Maybe it is a reaction to an excess of power, loan-sharking reminiscences, indifference towards a still needy Romanian reality and so on. The NBR has and must have a net and indisputable technical professional autonomy. The professionalism to which it is engaged by the specificity of the domain and the strictly specialized language shelters it against any invasive external factor. In the context that it exceeds the bounds of the job description which history has “condemned” it to follow – not the European legislation – then reactions must be expected. As an important economic actor, the NBR cannot be “on its own”. The “instrument” does not become an autonomous entity by following a natural path. As an important economic actor, the NBR cannot be “on its own”. The “instrument” does not become an autonomous entity by following a natural path. 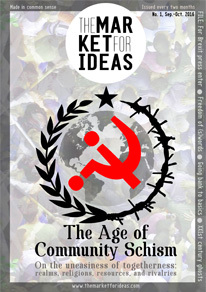 In other terms, in a democratic society it is difficult or even impossible to promote acceptance of the idea of the existence of bonapartist oases with quiet, self-contained functionality in the ocean of the free market and the interconnections that define the institutional arrangements of an integrated economic and social system. The NBR’s virtue, rightfully won and affirmed, cannot be separated from the national context. Even if, through the anchored EU law, it can place itself beyond the reach of the citizenry, such a pathway sets it in an undeniably conflicting context. I do not think that a central bank can have a good time while the citizens have rough times. We must assert once more that the country to which we predominantly refer is a needy one. Needy but populated with increasingly interested and interesting individuals. The bounds of my thought regarding a central bank in a country such as Romania are these – I want an NBR which is quietly competent but not arrogant and overbearing, an NBR which is solid and a definite point of support for the citizenry. I think that the narrative of the unsuspected complexity and unsolved mysteries of the banking management system are doomed to forever be unmoored from the general theory and practice in the matter, without any chances to serve a more generous goal for science or economic policy.